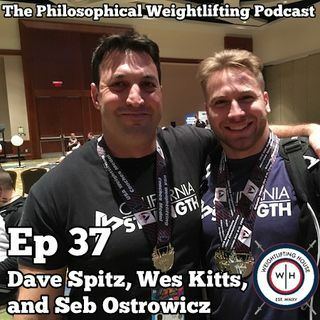 On Episode 37 of the Philosophical Weightlifting podcast I was joined by Dave Spitz and Wes Kitts of California Strength and Seb Ostrowicz of Weightlifting House. This was an incredible episode, topics covered included Dave’s approach to programming, Wes’ transition to Cal Strength, what makes a great weightlifter and weightlifting program, and so much more. I can’t stress enough how grateful I am that Dave, Wes, and Seb took time to record this with me. Go show these guys some love on ... See More their social media accounts and buy their products. They do so much for the sport, so let’s make sure they can keep producing content and great athletes! https://www.barshieldusa.com/ use discount code PWPODCAST for 10% off your entire purchase.